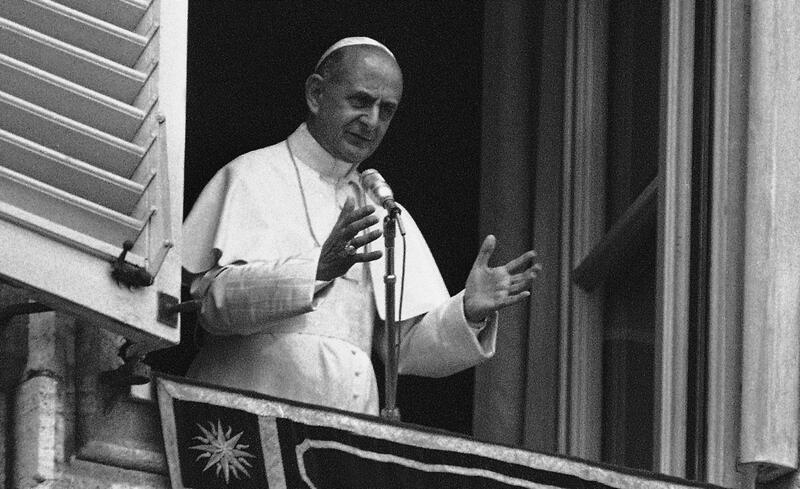 A few weeks ago I posted an excerpt from Pope Paul VI’s November 19, 1969 General Audience in which he spoke of the implementation of the Novus Ordo Missae. Today I would like to direct your attention to the following week’s address when Pope Paul continued discussing the impending changes to the Church’s centuries old liturgy. The Holy Father’s words clearly demonstrate the post-conciliar view which believed that the beautiful and sacred must give way to the simple and profane in order to appeal to modern sensibilities. “We ask you to turn your minds once more to the liturgical innovation of the new rite of the Mass. This new rite will be introduced into our celebration of the holy Sacrifice starting from Sunday next which is the first of Advent, November 30 (1969). “It is here that the greatest newness is going to be noticed, the newness of language. No longer Latin, but the spoken language will be the principal language of the Mass. The introduction of the vernacular will certainly be a great sacrifice for those who know the beauty, the power and the expressive sacrality of Latin. We are parting with the speech of the Christian centuries; we are becoming like profane intruders in the literary preserve of sacred utterance. We will lose a great part of that stupendous and incomparable artistic and spiritual thing, the Gregorian chant. “We have reason indeed for regret, reason almost for bewilderment. What can we put in the place of that language of the angels? We are giving up something of priceless worth. But why? What is more precious than these loftiest of our Church’s values? “The answer will seem banal, prosaic. Yet it is a good answer, because it is human, because it is apostolic. Of course, as we now know, the response of many of the faithful was simply to abandon this new innovation. Sadly, many have left the Church altogether. Weekly Mass attendance in much of western Europe today is less than 10 percent. This assessment was made by Fr. Gelineau in 1977, less than ten years after the New Mass was implemented. It was said without any regret. Posted on September 19, 2015, in liturgy and tagged general audience November 26, novus ordo, Pope Paul VI. Bookmark the permalink. 4 Comments. Pope Paul the VI’s speech below, in a round about way, admits the new rite intended to replace the sacred with the human. We now see the sad results of this experiment. The sacred Latin language is the glue that held the world together. We need to bring it back for the sake of saving more souls. Please start attending the Tridentine mass with your family for the sake of your spiritual development. I regret that I was too young, too stupidly naïve to know what was being stolen from me. The debate must be raised again: does the Pope have the authority to radically change worship? I say no, because the pope’s duty is to be The Guardian of the Faith, not the Controller of it. Pope St. Pius X foresaw the calamity to come and that is he (P10) composed the Oath Against Modernism, which every pope since Pius XII has violated and St. John Paul II took that oath as a priest, a bishop, and a cardinal, but refused to take it as pope. Lex credendi, lex orandi, lex viviendi. To put it bluntly, if you debase your liturgy, you destroy your theology. Vatican II, by Pope Paul VI’s own admission in 1966 said that the Prayers to the Holy Spirit for infallibility were NOT SAID for the Second Vatican Council, therefor that council and its dregs can be repudiated. Pope Paul VI betrayed his superior Pius XII while Secretary of State and should never been elected pope. The problems with the Mass began several years before the New Mass was implemented. In the parish of my youth, the Mass had been so altered that there wasn’t much difference between the New Mass and what was in place immediately before it. We stood for Holy Communion, Mass was in the vernacular, with faulty translations and four canons, it was offered facing the people, et cetera. That was all before the New Mass came on the scene.